Put this in your diaries folks! 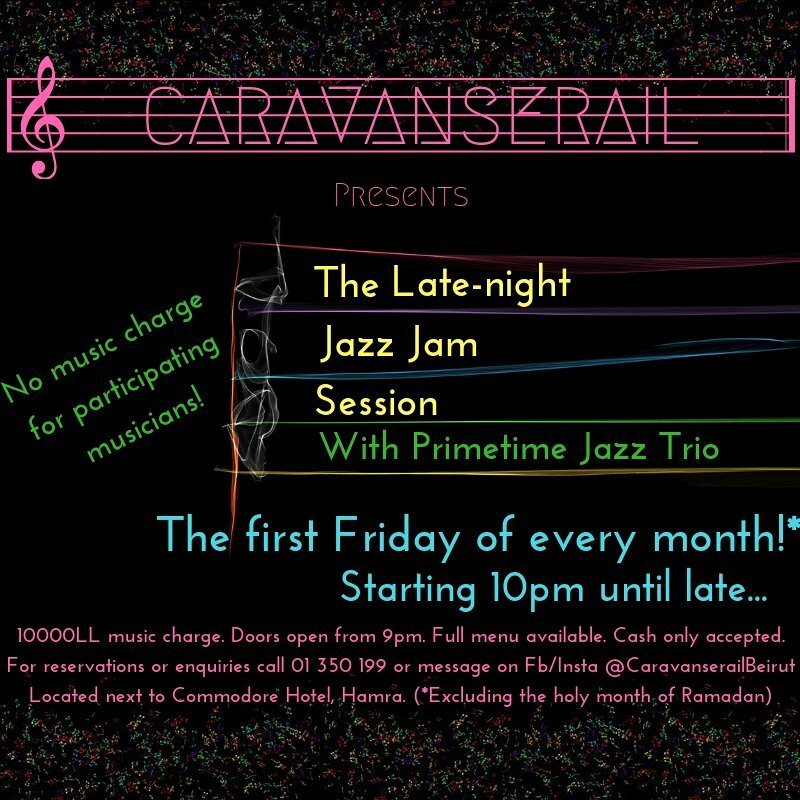 The first Friday of every month, our buddies the Primetime Jazz Trio will be ready to get their creative juices flowing at the home of jazz in Beirut. PJT will be kicking us off with some cool cat jazz jamming and you are warmly invited to come along and join in or just sit back and enjoy while the magic happens. No fee for participating musicians and 10000LL music charge for anyone who wants to come along, watch and take in the atmosphere and enjoy a drink or a bite (or both?!). Musicians, bring your instruments and get involved. Got a gig? No problem! Come along afterwards! Music lovers, this is your opportunity to hear some of the finest musicians in the city play in one place! The bar will be stocked and the full menu will be available on the night. Please note that Caravanserail is a cash only venue and we are unable to process card payments. Door open at 9pm and the jam starts from 10pm. 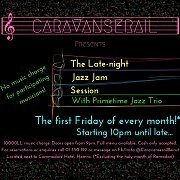 Caravanserail is and has been located next to the iconic Commodore Hotel in Hamra since 1969.